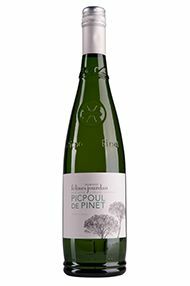 Combining variety and location in its nomenclature, Picpoul De Pinet is a cru within the diverse expanse of the Coteaux du Languedoc. It is an aromatic variety which has found its natural home in sandy, gravely soils, centred on both the village of Pinet and the old town of Montagnac. The ‘pique’ implies crispness and firmness, the ‘poule’ more tangentially hinting at soft and maternal qualities.